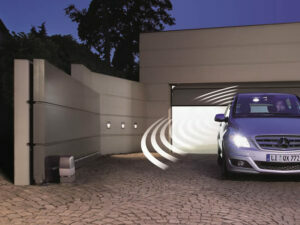 Add electric opening to your existing door or replace your old garage door with a new automatic sectional garage door. Looking for an Devon Electric Garage Door Company? Welcome to A & A Garage Doors the leading electric garage door fitters in Devon and Devon. With over 30 years experience of installing electrical automation onto garage doors. So whether you just wish to add automation to your existing garage doors or you are interested in replacing your old garage door with a new one automatic garage door, why not talk to us before you decide, call 0800 0832590 to find out what we can offer. Should I have a Roller Shutter Electric Garage Door? This is one of the most common questions our Devon customers ask us about the type of automatic garage door they should have. In the past you could only get electric garage doors on roller shutter styles and still today many inexperienced garage door fitters only offer automation on roller shutter garage doors. All the automatic garage doors we've installed in Devon and surrounding areas are supplied with multi remote automatic garage door opening keys, along with manual overides to ensure should you have a power cut you can still safely access your garage. If you're looking to enhance your existing garage door, similar to new garage doors we will provide you with remote control access keys. 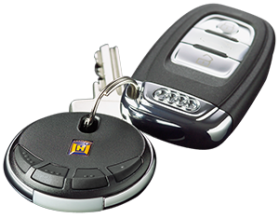 You can also order more keys if the garage is used by more than a couple of people, even if you've lost your remote control garage door key we can replace it with space keys. Thinking of living in Devon and thinking about replacing your garage door with a New Garage Door? For some of our Devon customers wanting to automate their existing garage door, once they've seen the choices available, style and enhancements to current garage doors for a little bit extra, replacing the garage door and installing remote control access can be cheaper than you think. Call our friendly team to find out more out our services Devon 0800 0832590. Do you set up remote control on Garador Garage Doors only? 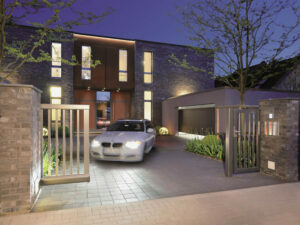 Many residential properties have gates on their driveway but more often than not these are left open simply because it is a hassle to get out of their cars to open and close them. It goes without saying that an open gate is not a gate! Installing electric gates solves this problem, by making it as easy as a touch of a button to open and close your gates.